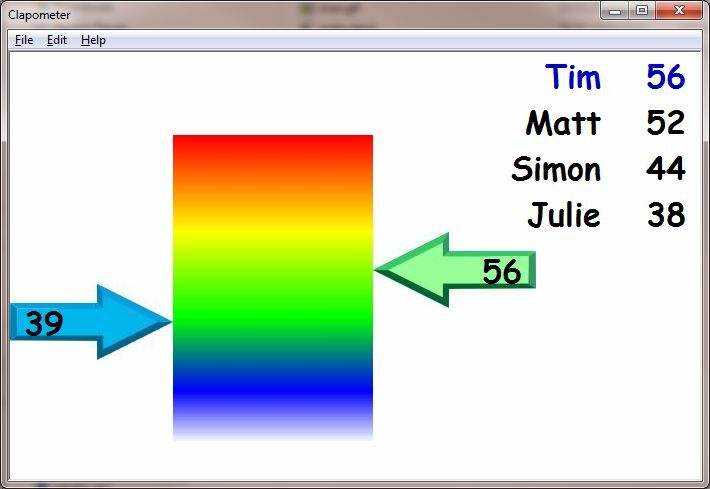 A fun clapometer / applause meter with league table. SwiftTec Clapometer is a fun, simple, easy to use, clapometer which includes a league table of competitors. Great for parties and informal talent competitions. The "applause level" is controlled by the computer operator by the simple but subtle use of the space bar! You can view the online help for the Clapometer help by clicking here.